As someone who wasn't already acquainted with the signature Kai fragrance, I expected it to be something clean and simple based on the brand's aesthetic, and what a pleasure it was to find out that it was true. It smells like a spring meadow filled with fresh, dewy grass – no flowers, just grass. 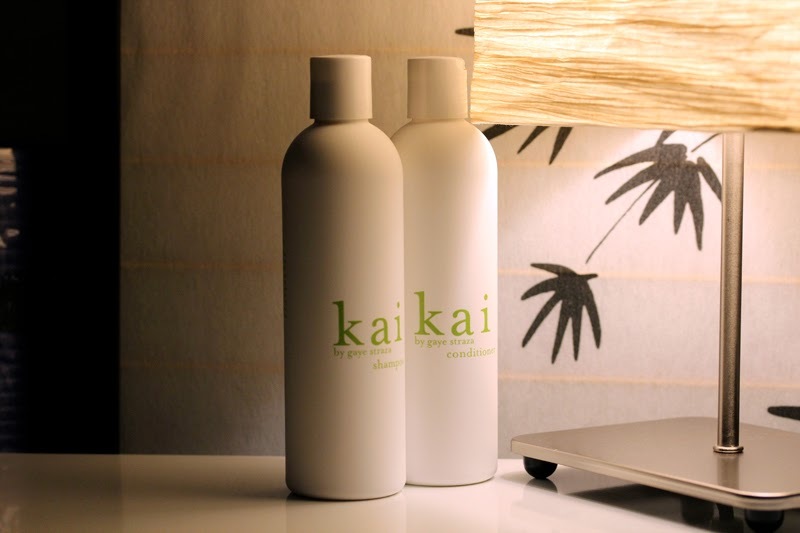 What I didn't know was that Kai didn't only produce perfume, but a whole line of bath, body, hair, and even home products, and suddenly I was intrigued. As mentioned numerous times on the blog, I am not a fragrance person, so when something I like finally appears, I cling onto it like my nose depends on it. A quick peruse through the web catalog shows that yes, if I'd like, I could coat myself and everything I own with this fragrance if I so wish. Believe me, I'm very tempted by the Fine Linen Wash.
That said, what I received in the mail was a more sensible starting tester product: their shampoo and conditioner. I brought it over to my boyfriend's apartment and the both of us have been enjoying it steadily for the past two months. He tells me he loves how easily the shampoo lathers and I tell him I love that it smells like clean grass. We both agree that it's a very pleasant product to have in our bathroom. For all the upcoming holiday travel that you'll be doing, there's also a nifty travel set containing the shampoo and conditioner, body wash and lotion, and bubble bath that'll meet your basic needs. I took this with me on my trip to Chicago two months ago and the entire set – down to the see-through pouch (yay, TSA...) – served me well. I will be flying to Taiwan in a couple of days for a family trip and will once again be checking this in. Unfortunately, Kai does not have a dedicated e-shop. 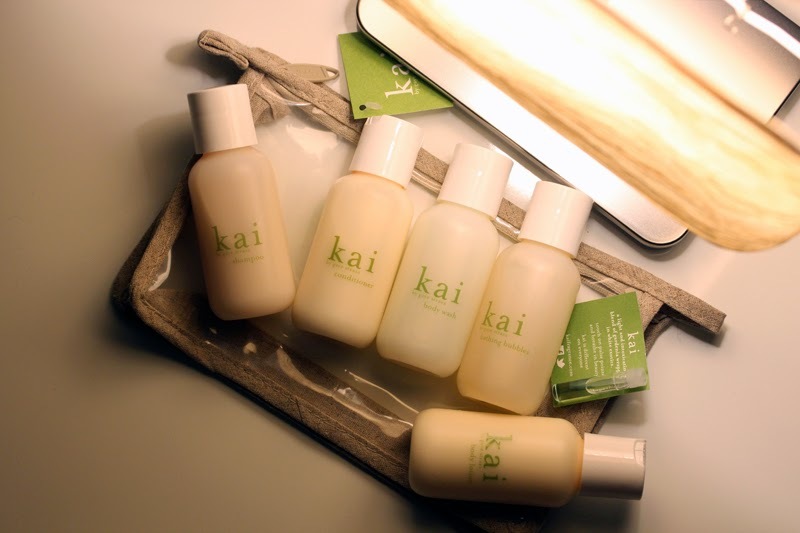 However, you can find Kai products online at Barneys.com! I have a very important announcement! Tatcha is currently offering a rare 20 percent off all purchases on their website. I cannot stress how awesome this is (I've never seen them on sale) and how imperative it is for you to go forth and stock up. I would suggest first-time users to go for the Dewy Skin Mist, Cleansing Oil, Deep Brightening Serum and either the Moisture Rich Silk Cream or the Enriching Renewal Cream. While I intersperse my own skincare routine with products from other brands, I can safely say that the majority of skincare I use is still from Tatcha. If my skin acts up, I retreat to their products and know that all will be well again in a day or two. If you're feeling generous to yourself, go for gold and order the Complete Kiri Collection, pictured above. I've never seen it myself, but the description says it comes in a custom-made keepsake box. I've received my share of exquisite boxes from Tatcha and I've kept and re-used every single one of them. Lastly – and this is probably not needed, but – I just wanted to say that none of the above links are affiliate links. 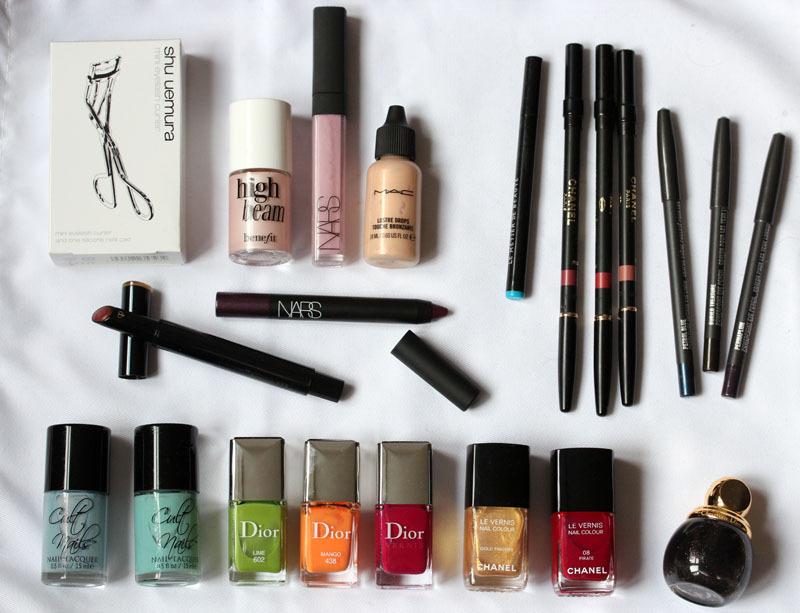 I genuinely love this brand and will champion it for as long as anyone would listen to my beauty recommendations. The Tatcha Friends & Family sale ends December 11. Use code FF2013 at checkout to receive the discount. If you do end up trying Tatcha skincare, let me know what you think! I never knew (fine, I never admitted to myself) that the majority of my wardrobe consisted of gray and black pieces. I suppose after having lived in New York City for over a year, that shouldn't be a surprise. It's not like I don't like neutral colors, but sometimes staring at a wardrobe made of neutrals can get a little bland. The Reformation Rawr Sweater and Gem Skirt – Why I like this brand and this particular sweater was elaborated in this post. Let's just say I haven't gotten over it since the acquisition two months ago. DKNY Cashmere Pop-Top Gloves – Is it preposterous that they charge $85 for a pair of gloves? Yes, yes it is. But In my defense, these are made of oh-so-warm cashmere and they have a slit on the thumb that come in serious handy for iPhone users (like me). I bought a pair last year that had holes by the end of winter from frequent use, so to me it's a very worthy and needed repurchase. Yves Solomon Scarf – Another past winter acquisition. It's a good gray and black ombre, which as you can see, fits neatly with the rest of my wardrobe. On really cold days, it keeps me really warm. 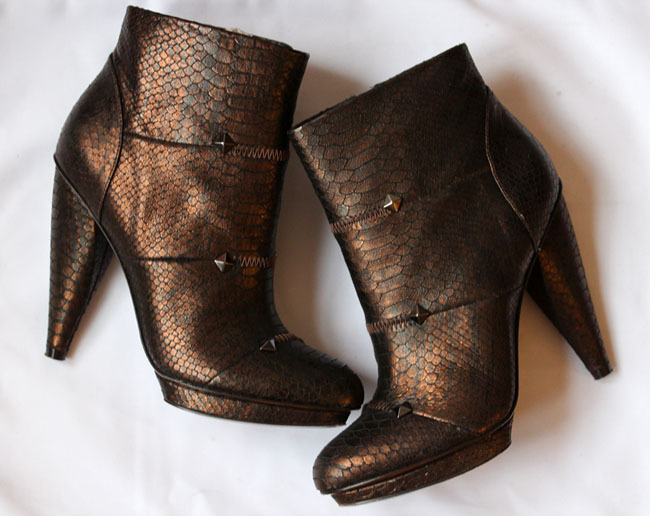 Burberry Boots – These are my favorite ankle boots ever. They're super comfortable and I've never failed to get compliments when I wear them. The leather is curiously matte, so I haven't figured out how to maintain it (like, people shine regular leather shoes, but what should I do when it's matte leather?). Luckily, it has held up well against the elements and I don't seem to have to do that... yet. 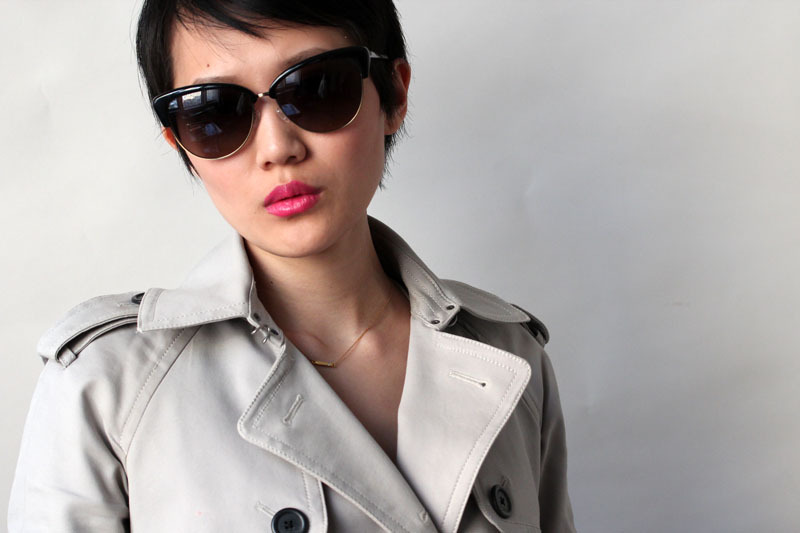 Oliver Peoples Sunglasses – Worn here. Still my favorite hide-from-the-sun shades. Uniqlo Heattech Tights – ABSOLUTE NECESSITY. If you are prone to cold and don't know what Heattech is, get thyself to a Uniqlo store, stat! Burberry Coat – I bought this particular coat 3-4 years ago because I wanted a peacoat and I wanted it to last me through many many winters. The price was probably ridiculous, but I've survived a few winters in it since, and many more to come. (In case you were wondering, this is how I justify all my ridiculous purchases.) I also feel as slick as Sherlock Holmes (as played by Benedict Cumberbatch) when I wear it, so no regrets whatsoever. Burberry Earmuffs – In case there was any doubt what my favorite brand was... ha. These earmuffs save my life every. winter. Sigh, I am such a wuss when it comes to cold weather. 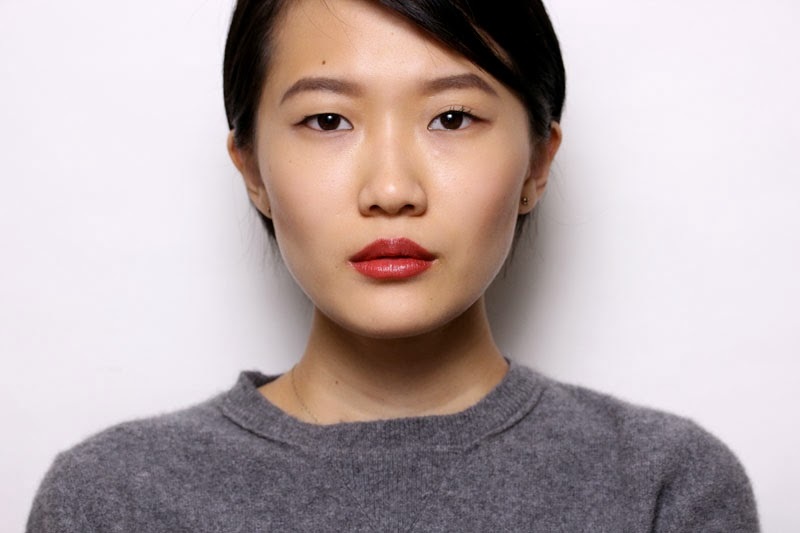 Proenza Schouler PS1 – A few years ago I made the conscious choice to start investing in my wardrobe. Quality over quantity! was the war cry. That was when I splurged on the PS1. This bag has been with me through daily life, travel, interviews, functions, you name it, it's probably been there. I've thrown it around, ran with it through pouring rain, and subjected it to much distress, and still it stands sturdy. For a small-looking bag, it holds a surprising amount of stuff too. Best investment I've made in a bag. 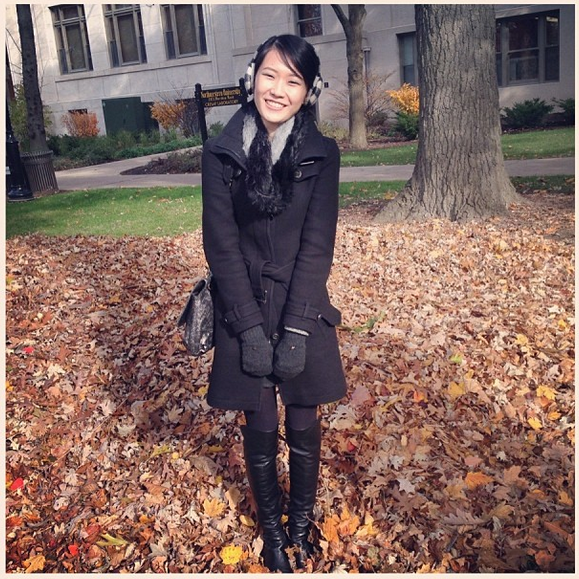 Here's a photo of me frolicking in Northwestern University's campus, wearing most of the items in the photo. Yes, I was very happy to have disturbed the peace of that neatly gathered pile of leaves. 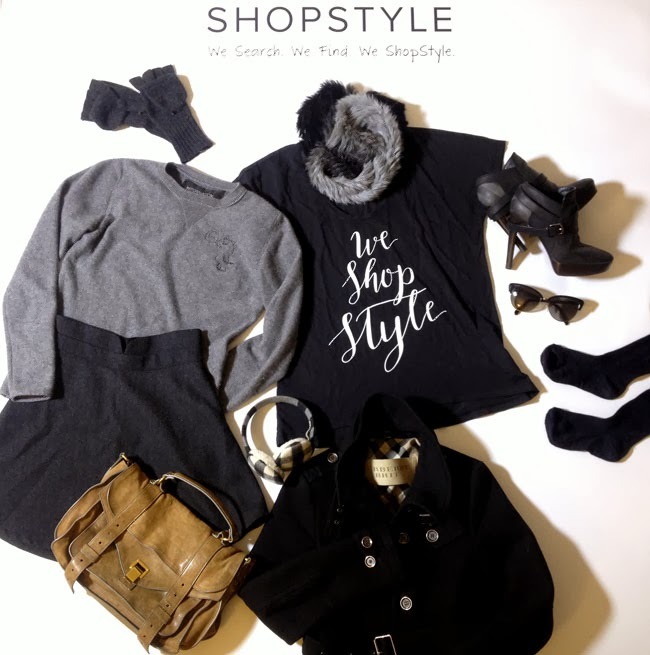 This post is written to celebrate the new ShopStyle. One of the good things about semi-living in two apartments is the opportunity for two skincare routines. Yes, I am the type of person who would relish having two regimens to fiddle around with. But that shouldn't be news, yes? 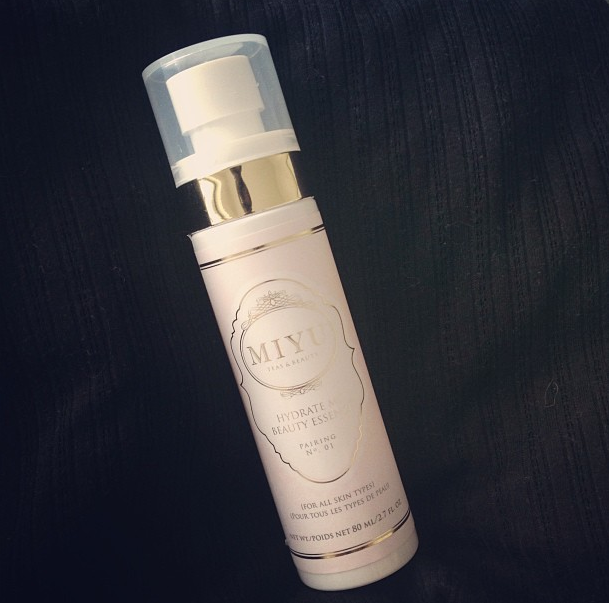 I'm delighted to introduce this Miyu Beauty Hydrate Mi Beauty Essence. I, being the time-saver (read: lazy person) that I am wont to be, relish the fact that this serum comes in spray form! For a whole month I spritzed wantonly at my face, enjoying the cooling misty feeling on my face, but to preserve the bottle I have since taken to doing a couple pumps into my hand and applying it like I would a regular serum. 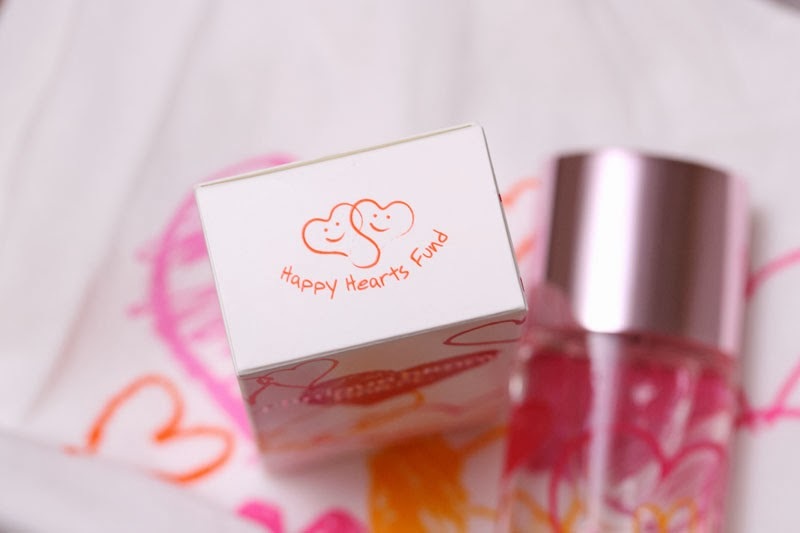 The serum is relatively fragrance-free, which means there is a very light rose smell but it is pleasant and unobtrusive. I was initially skeptical that a hydrating serum that came in mist form would be good – why I doubted its efficacy based on delivery, I do not know – but it turns out that this is immensely hydrating indeed. 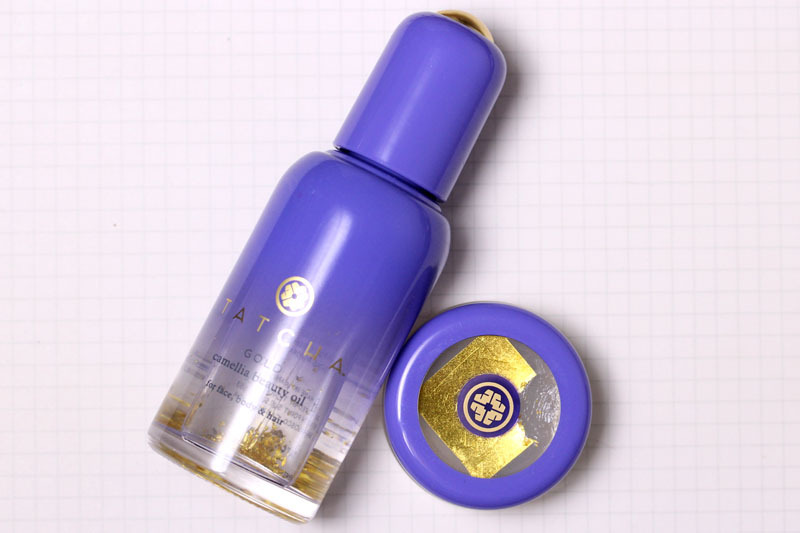 I follow this serum with two drops of Tatcha Beauty Oil, and that is all there is to my very short and simple (but effective!) beauty routine. Miyu Beauty Hydrate Mi Beauty Essence is available at miyubeauty.com for $34. For tea enthusiasts, Miyu Beauty also created a complimentary Beauty Tea, which tastes like a mixture of fruit and flower. The pairing retails for $42. I was pleasantly surprised to receive this in the mail. Unexpected packages, after all, is no longer the norm. That said, since beauty products remain on short supply (actually, I still have an unmanageable amount, but I'm pretty sure you've seen everything), I thought I'd switch things up a little. 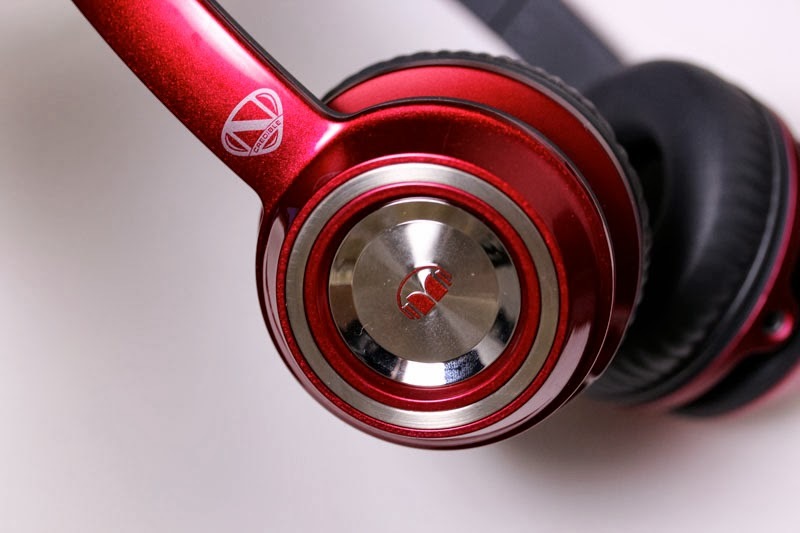 This is the Monster Ncredible Ntunes On-Ear Headphones. It comes in five different colors, and I chuckled to see that I was sent "Candy Apple Red." The people responsible obviously intuited my love for red lips. The sound is indeed bass-heavy, but not as much as I thought it would be. Basically, if you're listening to a song, the bass comes through a little more prominently and can sometimes dampen the vocals a little. To my surprise, it performed well with classical music. Crisp sound even on the higher registers. In fact, I would say for headphones that I would expect the bass to be the prominent feature, the bass sounds aren't as crisp as it could be. The image that came to my mind is if you struck a glass with a fork and it just didn't ring as crystal clear as you expected it to. Though it doesn't claim to be totally noise-cancelling, the sponge-y thing (never knew what this was called) does help significantly reduce noise. I tried it on the subway and it drowned out the sound of human movement, which made me bump into a few people since I couldn't feel them. You can still hear louder sounds, like car honks and shouty conversations, so wearing it on the street shouldn't be too dangerous. The sponge-y thing makes the headphones quite comfortable. I managed to wear it for two hours (with intermittent removal when I had to talk to people) without my ears protesting. Since receiving it, I've also twisted it, tossed it into my cavernous bag o' stuff that I lug around on a daily basis, slung it around my neck, bumped it around, and it proves to be quite durable. 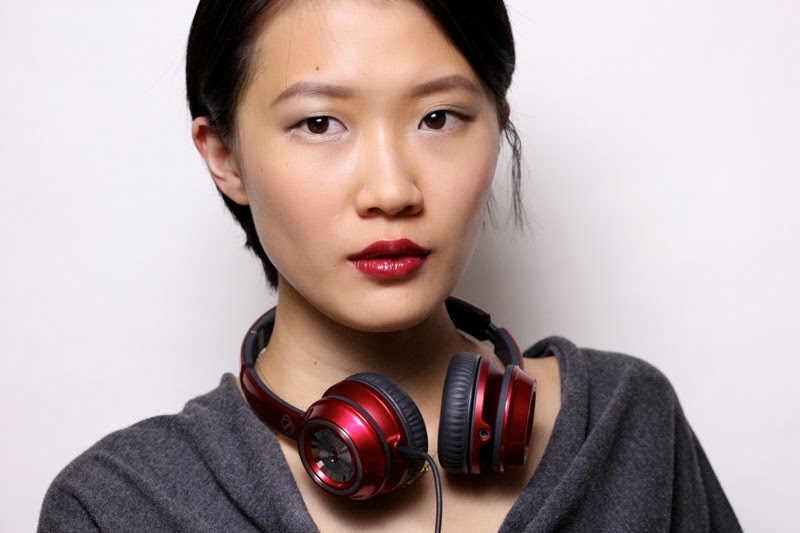 And the most relevant bit of information: the headphones match perfectly with my Le Metier de Beaute In The Know Bordeaux Lip Creme! If I had a favorite niece, I would gift it to her with the matching lip product (so start currying your favors, nieces!). The Official Rules are available here. This sweepstakes runs from 10/2/13 – 11/1/13. 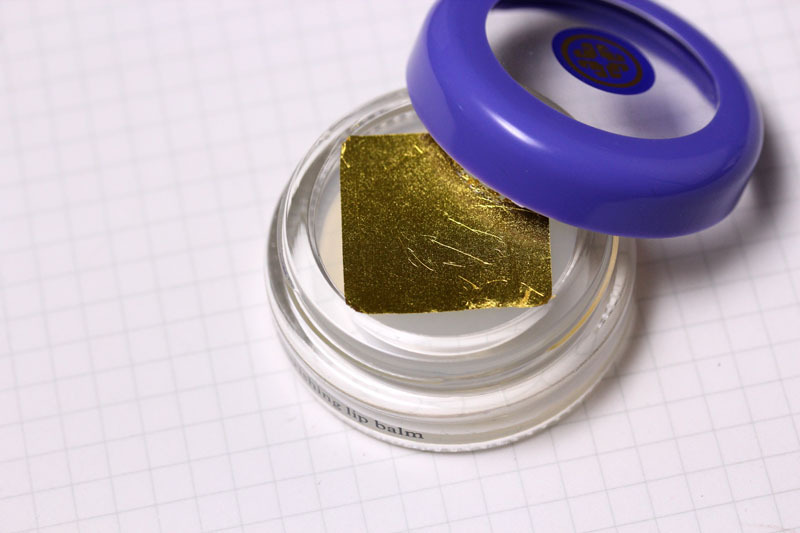 That guilty smudge in the pot of lip balm is mute evidence of my enthusiasm in being able to try the new Tatcha Gold Collection. "Enthusiasm" being that I tore the two products out of their beautifully wrapped boxes and immediately set to rubbing the contents on my face. 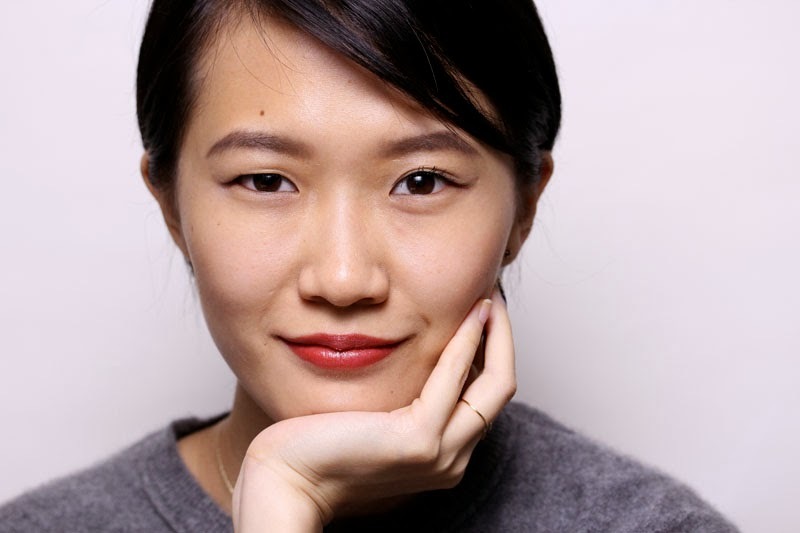 I've sang praises about every single Tatcha product ever created (all reviews can be found under the Tatcha label) so I didn't have any reason to expect singing another tune, and of course, Vicky Tsai does it again. Could she please start a Japanese-inspired makeup line? First, the Tatcha Camellia Nourishing Lip Balm. Forgive me for sounding like a saleswoman, but this has the whole package: feel, taste, smell, look. The camellia-oil infused formula has a delicate scent, and goes on lips just like how a lip balm should—I don't know if i can be more specific about the feeling. It's just really really comfortable and moisturizing. 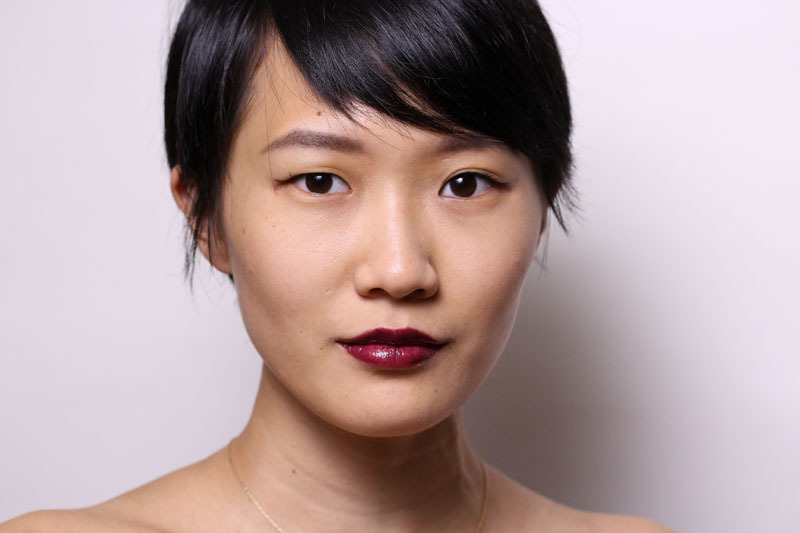 It also looks like a very mild gloss when applied, and elevates bare lips to a certain degree of polish. The gold leaf is what I think of as a beautiful accessory. It's not needed, but definitely adds charm to the whole package by being there. 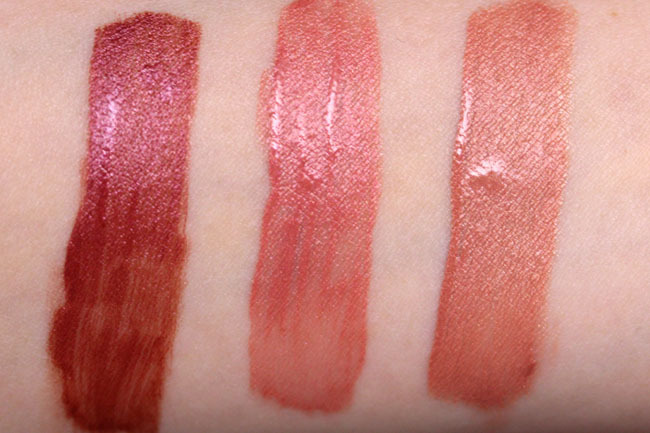 When crushed and applied, the resulting effect is little morsels of shimmer on your lips. I've tried some of the more popular face oils in the market, and the Tatcha Camellia Beauty Oil is my favorite so far, again because it possesses the whole package. I apply a couple of drops onto my face and neck, and usually smooth the remnants on my fingers onto my hair. I do usually use it over a serum, because I realized that beauty oils are better substitutes for moisturizer (to retain moisture) than a moisturizing serum. 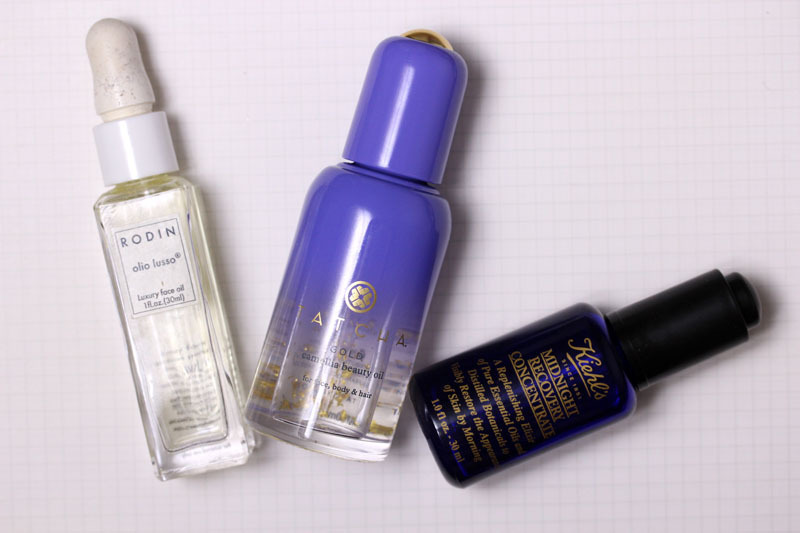 Somehow, the Tatcha oil is oily but not oily—it's closer in texture to the Kiehl's Midnight Recovery Concentrate, which means it dries down relatively quickly, but feels more moisturizing like the Rodin Olio Lusso Luxury Face Oil. Camellia oil also smells fantastic. Tatcha Camellia Nourishing Lip Balm retails for $36, while the Camellia Beauty Oil goes for $125, both available at tatcha.com. One of my burgeoning interests is cooking beyond simple stirfry and (any manner of) egg. I genuinely enjoy being in the kitchen and being able to whip up Instagram-worthy food is a point of pride. Since new beauty products/looks are in scarce supply, perhaps you wouldn't mind reading about my culinary adventures? 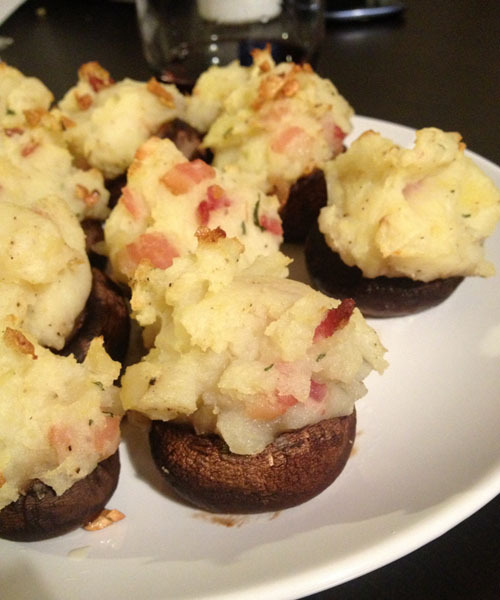 I've been on a mushroom kick lately and made mashed potato stuffed mushrooms. They taste insanely good and are super easy to make. Bonus points for looking really cute on the plate! I adapted my recipe from this one I found on allrecipes.com. Basically, I used actual ingredients instead of packaged ones, and took away the cheese because I'm lactose sensitive. 2. Skin potatoes and chop into 1" cubes. Place in medium saucepan, cover potatoes with water, set to boil for 15-20 minutes or until potatoes are soft. 3. Chop bacon into bite-size pieces, fry till crispy. 4. When potatoes are ready, drain and mash. Add herbs, salt, butter, and pepper to taste. 5. Remove stems from clean mushrooms* and stuff with mashed potatoes. 6. Spread olive oil and minced garlic on a walled cookie sheet or baking dish. Place mushrooms on top. *To clean mushrooms, take a damp kitchen towel and gently wipe the grit and dirt off. To remove stems, gently wiggle the stem till you hear a popping sound. This part is really fun. When buying mushrooms, try to get them more or less equal in size. This is to make sure some of your mushrooms won't be overcooked/undercooked. I also like to scoop up the baked garlic (baked garlic tastes so good) and place it on top of the stuffed mushrooms before serving. My boyfriend (the resident wine picker) paired it with Rioja. All in all, a fantastic meal. The legendary Illamasqua Raindrops is back in stock at Sephora.com!! By some technical web error, I saw a preview of all the items that will be available for sale tomorrow. 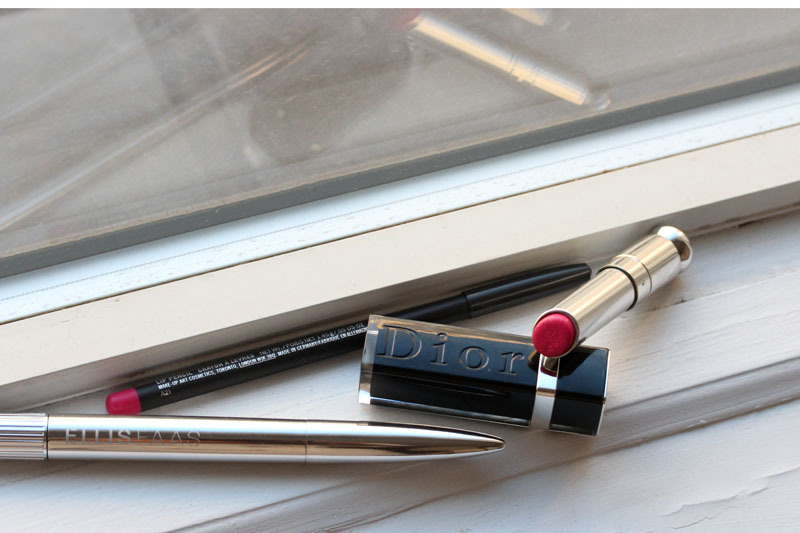 While the majority of the listings seem to be nail polish, the Sydney lipstick, the powder and the mascara pictured above are on sale, as well as two eyeshadows. I was also excited to see the Champagne Dualistic Eye Pencil listed – I frequently use it as a base for eyeshadow application. If I didn't already have a backup, I would jump on this chance immediately. The sale begins 8am Pacific on May 14. 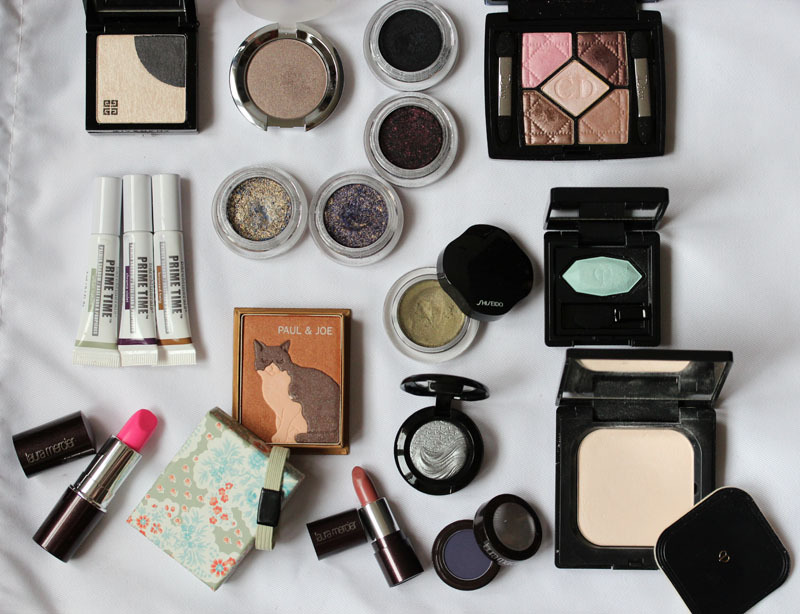 If you're not already a Hautelook member, you can sign up through this link. *Disclosure: If you do end up purchasing an item after signing up through that link, I will receive $10 referral credit. Many reviews I've read of Ellis Faas laud the superior texture and formula of their products, but always with a caveat: the applicator and its refilling mechanism is unwieldy. One of my Ellis Faas eye pens actually exploded once – I was twisting it to get pigment out, and probably because the leftover pigment was too caked onto the brush, the liquid couldn't get through. Instead, the entire top part of the pen blew out from the holder and paint splattered across the room. I was wary of trying Ellis Faas again, but here I am with their blush pens. I'm happy to report that the formula and texture remain as what I remember them to be. As for avoiding a repeat of the last mishap, I now wipe off excess liquid after use (as I should have done in the first place). 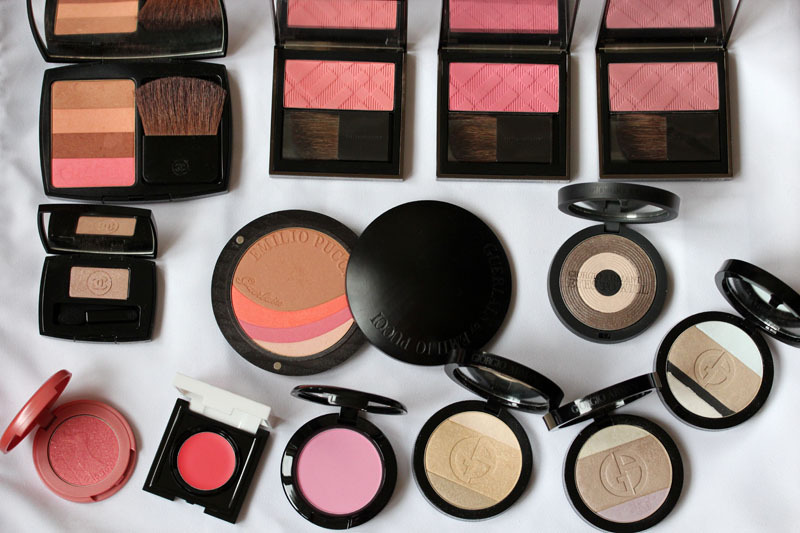 Very simply, S301 is what I think of as a natural blush, an amalgamation of pink, peach and brown tones. 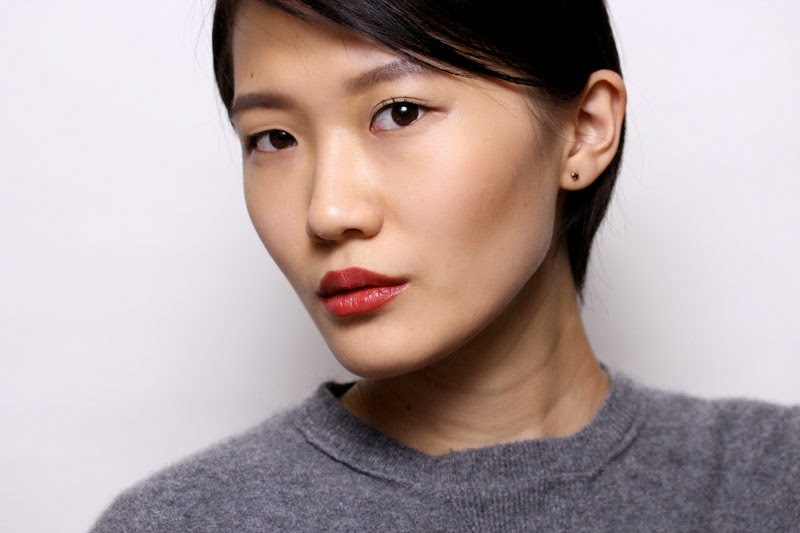 S302 is more vibrant and leans pink, but still looks very natural when applied on skin. S304 is the color of mulled wine. 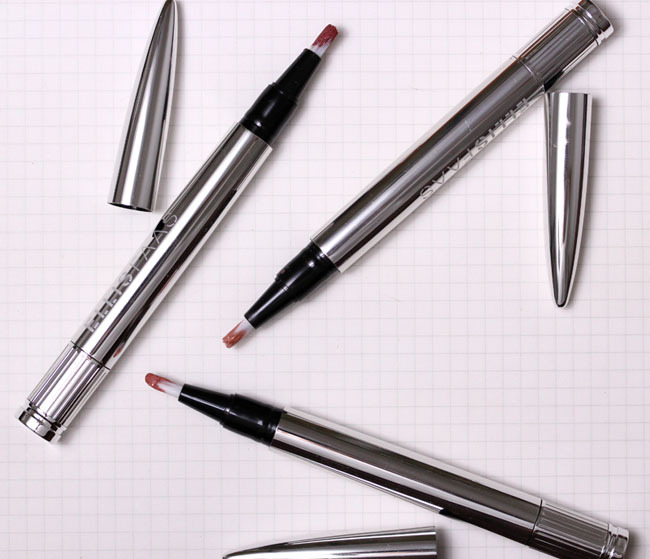 Ellis Faas pens are designed for fingers, so place a few dots along your cheeks then happily blend! 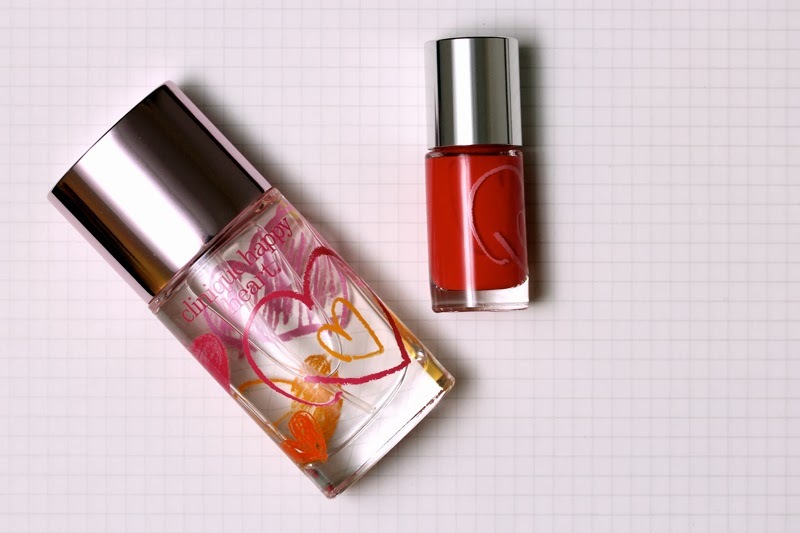 Suqqu EX-11 Sumiredama on eyes, Le Métier de Beauté Coral Rose on lips. Ellis Faas Blushes retail for $32 and are available at ellisfaas.com. Check out my blog sale here! 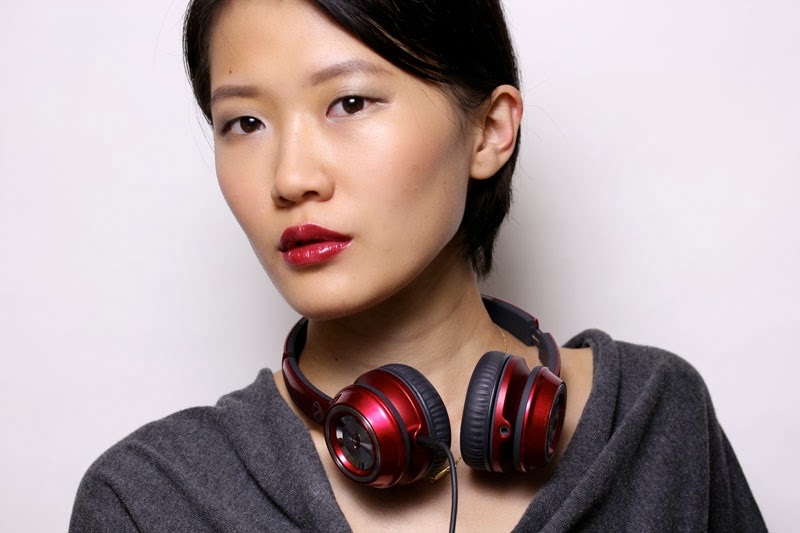 Some time ago, I was invited by Boom Boom Brow Bar in NYC for a complimentary brow tint. I've never heard of tinting my brows before, so I was properly intrigued. After all, anything that makes my brows look less bald is a win in my book. What happens is: the brow specialist applies a vegetable-based color onto your eyebrows (like above) and leaves it on for ten minutes to develop. Afterwards, your eyebrows will look darker and fuller. Depending on the dryness of your skin, you may experience a tingling sensation—I felt it at the tail end of the session, but it was in no way uncomfortable. While chatting away at the chair, a tidbit I garnered from the specialist is we should only pluck/wax our brows once a month. Apparently, our hair's growth cycle is 28 days and if we tweeze in between that time, we will cause the hair to have a second growth cycle. I interpret that as having brow hair grow on different schedules, which I guess does make grooming a huge hassle. Unfortunately, I only have shoddy iPhone pictures to show for the before-and-after, but I can confidently say that my brows, while not Cara Delevingne perfect, looked considerably fuller than before. I'll still have to fill it in to get the look I want, but I also feel less naked when going out sans brow pencil. A brow tint is $22 at Boom Boom Brow Bar. They also offer a full range of hair-removal services. The location is quite small and they only have something like five chairs available at a time, so while walk-ins are possible, I would suggest that you make an appointment before heading there. HOW TO BLAHG? My response to the empty draft that was this post. I'm out of shape even though my day job requires me to write for ten hours (or maybe it's precisely because of that?). I miss blogging but I have to say I've been enjoying my hiatus. It's been the first time in years that I didn't have to do anything on weekends. 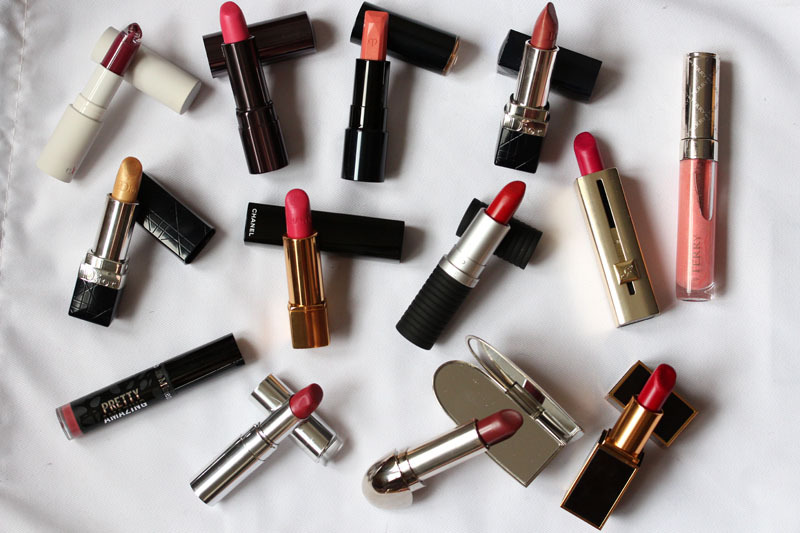 Moving on, what brought me back today is a new installment of Lipstick Bandits, and this time we're tackling coral. As many of the troop will tell you, we don't know what color coral is supposed to be. I've been told it's something between pink and red, but I've definitely seen "corals" that lean orange. I feel like it's one of those colors (like taupe) that have no real meaning anymore because everyone just uses the word to describe a broad range of color. But it's true we've never tackled the hue before, so here we are. 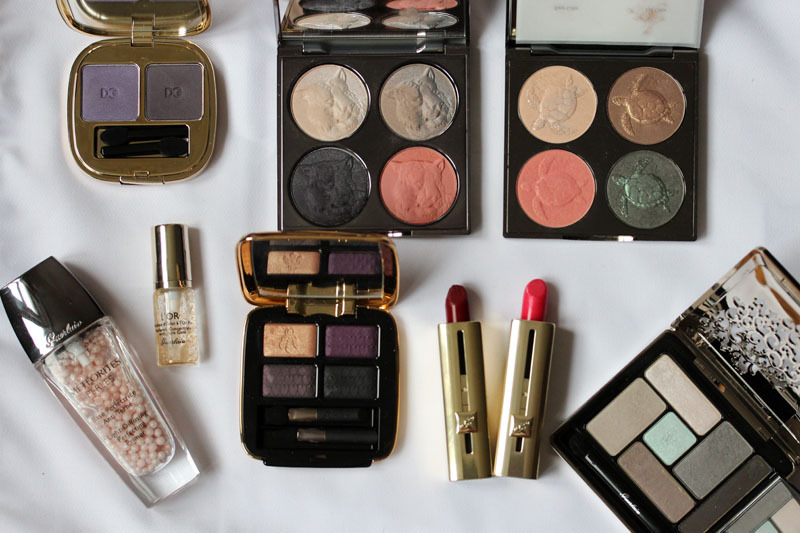 The one I'm wearing in the picture is Le Métier de Beauté Riviera. A makeup artist once told me that Riviera is a "true coral," and I can definitely see the pink peeking out from the red. Maybe this is it? 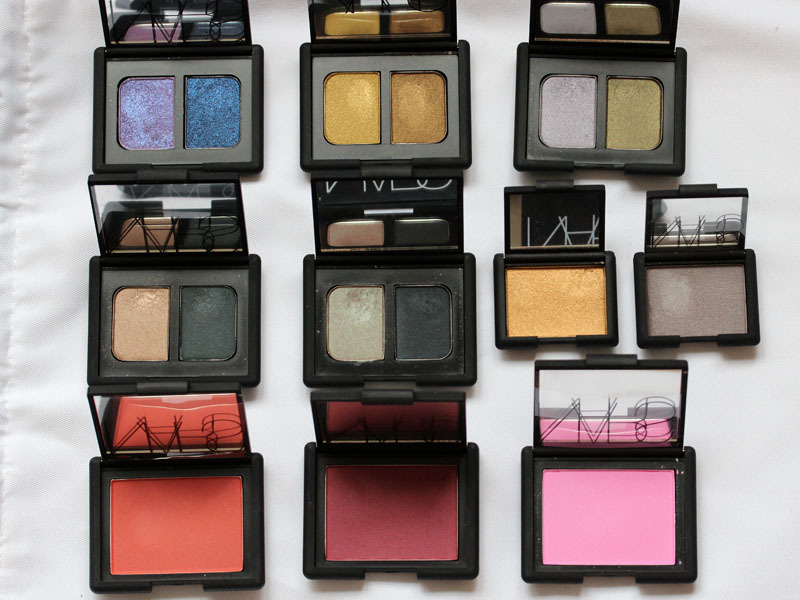 *Swatches and product photos are absent because I took these a long time ago (look at that winter-dry skin!) and I'm a rusty blogger. Sorry. Other fun things in this photo: Shiseido Luminizing Eye Color Trio in Pink Sands and JINsoon Nail Polish in French Lilac and Poppy Blue. Catbird Rings.